I did this clothes storytime in November and it was really fun. I especially liked getting our scarves out with one of our books. Here's what I did! 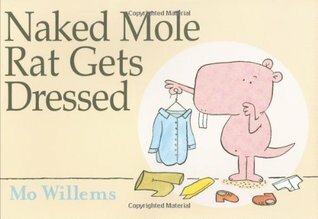 Book: Naked Mole Rat Gets Dressed by Mo Willems (Disney-Hyperion, 2009). 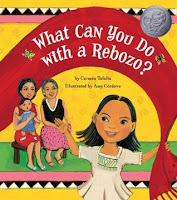 Book with Scarves: What Can You Do with a Rebozo? by Carmen Tafolla (Tricycle Press, 2008). I passed out the scarves and we pretended that our scarves were rebozos and used them for all the things the book mentions. Felt: Mittens in Washing Machine. Source: Miss Mary Liberry. This is one of my ALL-TIME favorite storytime props because it is always a hit; the kids have so much fun with it! 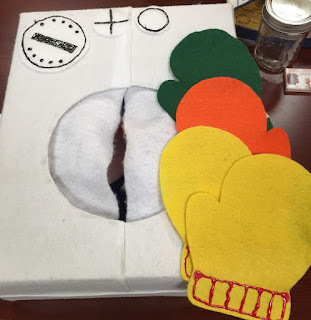 We adapted it to use mittens, which we use quite often for winter storytimes. Usually, what I do is I tell the kids that I need their help to finish my laundry. It's been in the dryer, but I need help matching up my mittens. I pull out a mitten and we talk about what color it is. I put it on the felt board and then pull out another mitten and ask them if it matches. I pretend that I think it matches when it doesn't, etc. and the kids have a blast correcting me. Once we've paired up all the mittens, we count - this is a great opportunity to count by two's or you can just count each mitten, depending on your age group. This is a great activity for practicing same-and-different and identifying colors. The kids are always on the edge of their seats waiting to see what will come out of the washing machine next! 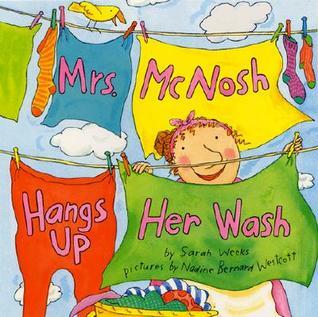 Book: Mrs. McNosh Hangs Up Her Wash by Sarah Weeks (HarperCollins, 1997). 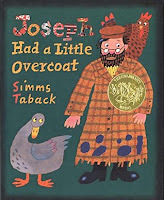 This silly story is another storytime favorite with its rhyming words and funny imagery. Action Song: If You're Wearing Red Today. This is not only a fun, active song, but it helps kids practice listening and following directions (school readiness skills!). 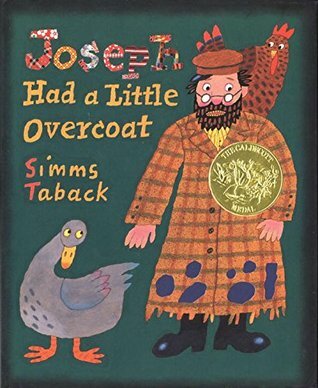 Book: Joseph Had a Little Overcoat by Simms Taback (Viking Books for Young Readers, 1997). Dress up! I put out our dress up boxes, which are full of random things we've collected over the years. Blocks - I always put the blocks out.